When you are running your own site (specifically a WordPress site for this article), it is especially important to get analytic data about your visitors so that you can know what is working for you, what isn’t, and how you can improve a certain aspect of your site such as a specific page. **Note: If you don’t have a WordPress site yet, you can get started by reading my post on How to Start a Blog with HostGator. This is why Google Analytics was built -- to help you improve your site by giving you access to all sorts of statistical information about the visitors of your site. You get to see exactly what they're doing -- what pages they're visiting, how long, how many pages per session, etc. Many other stats about your visitors -- what browser were they using? what mobile device? what was their screen resolution? what country are they from? what city? what language are they set to use? First, go to the Google Analytics home page. In the upper right, you'll see that it says "Sign in or create an account". If you have a Google account set up, you may already be signed in. Or, if you do have one that you'd like to use but aren't signed in, sign in using that one. Set up your account properties. This should be pretty self-explanatory and I won't get into big detail here. Basically you just go through your account properties specifying your Account Name you want, what website you'll be using for Google Analytics, and so on. Obviously, the 3rd line from the bottom that has the tag <your unique tracking code> will be the specific tracking code that Google generated for you. Other than that, though, the rest should be the same. Now, it's just a matter of getting this code onto your WordPress site. There are a few ways you can do this (as there are many tutorials out there explaining different ways). I'm going to teach you how I did it which I believe is the best way to incorporate it into your site. Now, path out to your theme's folder. If you use a child theme (which you should be), path out to that theme's directory. The folder should be found out in wp-content/themes/<your theme name>. For example, I use the "Responsive" theme, so my parent theme's folder is located at wp-content/themes/responsive and my child theme's folder is located at wp-content/themes/responsive-childtheme-master. Once in the appropriate folder, you might see some files already out there such as "style.css", "functions.php", etc. Here is where you will be creating a new file where you'll paste your Google Analytics tracking code into. After that, just hit "Save Changes" in the upper right. That file is done! Register and enqueue your new script file. The last step is to just register and enqueue your script file now. This part is explained with more detail in my How to Implement Prism.js Syntax Highlighting Into Your WordPress Site post. So, check that out if you want more detail. Anyway, back within your themes folder where you just put your analyticstracking.js file (or whatever you called it), you should also see a "functions.php" file in there. Right click and edit that file. However, YOU MUST be editing your child theme's functions.php file because if you modify your parent theme's functions.php file, you will lose all your changes whenever your theme updates. Once you have your functions.php file open for edit, copy and paste the code below into that file. Now, just hit "Save Changes" in the upper right and you're DONE! Make sure Google Analytics is receiving data. Lastly, you have to make sure the code was plugged in correctly and that the Google Analytics engine is receiving data. In order to do that, go back on your Google Analytics page where you first got your tracking code given to you. If you plugged in your code correctly, you should see the "Receiving Data" message up above. Otherwise, it will say "Tracking Not Installed". **Note: I have personally seen this take up to 24 hours for the message "Receiving Data" to show up, so you very well could have it installed perfectly, but may need to just wait it out. If you see the "Receiving Data" message, you're golden! Everything is set up and you won't have to do anything else anymore. 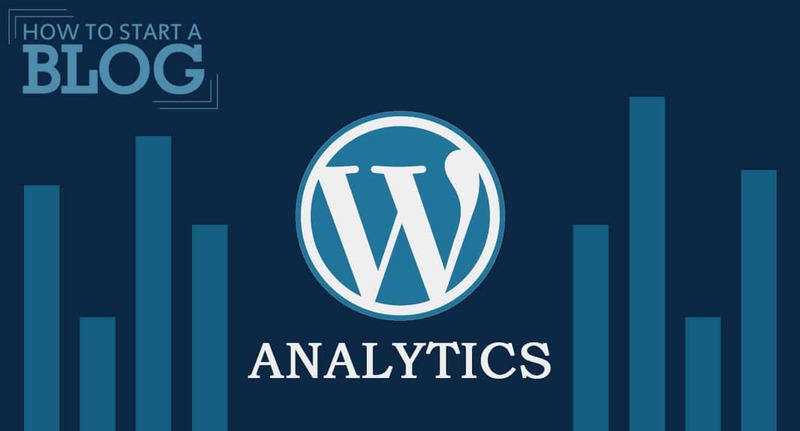 Every time someone comes onto your site it will be gathering information about them, and you'll start to see all of your statistics show up on your Google Analytics page. Mission accomplished! Did you get it to work? Having troubles? Leave a comment and let me know. I'll try to help anyone I can! Thanks for writing this one. It was helpful. I knew I wanted to enqueue the script but I needed someone to “hold my hand,” so to speak. I was in the same boat as you. I knew what I needed to do but just couldn’t find a direct answer of how exactly to do it — everyone was doing a little something different. So after I figured it out I was hoping a blog post about it would help someone else! Hi, I followed this directions and somehow this broke my site. Any ideas for what may have gone wrong here?? I sent you an email. It’s probably something wrong with the syntax of your PHP file if I had to guess. I’ll help you out via email! This is a great explanation, easy to understand, however I still have done something incorrectly, as I have received a syntax error. I have re-read and everything seems right though. Could you maybe send me the text of your PHP file to TheCrambler@gmail.com? Let me know if you do and I can try to take a look at it! No problem Enrique! Glad to hear it worked well. Happy to hear that Kristen! You made this so easy. Thank you. If I take the ” out or both, my site works again; but I don’t think the analytics is working as I’m still getting the no data received message and show no active users.